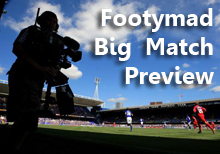 FM Preview: Wrexham v Macclesfield Town 01 Apr 2013 - Macclesfield Town F.C. Macclesfield Town travel to take on Wrexham at Racecourse Ground on Monday afternoon, having the edge over their hosts in previous meetings. The visitors have won 2 of the 6 previous games, with the hosts winning just 1. The last time the two teams met at Wrexham was just over four years ago, in April 2008, where the two sides shared the spoils courtesy of a 1-1 final scoreline in a League Two match. Wrexham haven't lost in their last six home matches, but have drawn four of them. A total of 12 goals have been scored by the Dragons in those games, with 7 conceded. The Silkmen have had a decent run of form away from home recently, with 3 victories and just 1 loss from the last six. The games have constituted a decent return of 9 goals for the Silkmen, and 7 goals against. Wrexham are just outside the promotion places, in 3rd, having taken 72 points from 37 games. Macclesfield Town's 55 points from 36 games sees them lie inside the top half of the table, in 9th position. Wrexham Unbeaten in the last 11 home games. Unbeaten run of 17 matches. Macclesfield Town Undefeated in last 5 away games.